Showing results for tags 'Multistrada1200'. 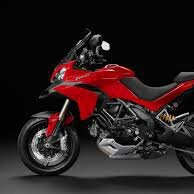 BORGO PANIGALE, (BOLOGNA, ITALY) – July 10, 2015 – (Motor Sports Newswire) – Ducati launches its Ride a Song contest and asks competition participants to propose the ideal motorcycle vacation paired with great music. 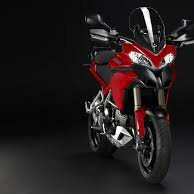 The best “road trip” wins a Multistrada Experience, an exclusive opportunity to ride the new Multistrada 1200, and the chance to share this exciting experience with two friends. The competition awards the best idea for a motorcycle vacation, accompanied by great music The winner and two friends will receive an exclusive experience riding the new Multistrada 1200 Ducati is the first motorcycle brand to open a Spotify account and “play” with songs on the streaming music platform The Ride a Song contest arises from the partnership between Ducati and Spotify, the on-demand music streaming service, where the Italian manufacturer is the first motorcycle brand to open an account. 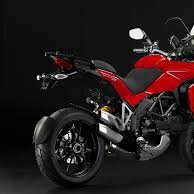 On-air from July to the end of September 2015, Ride a Song asks participants to choose the perfect song for their dream motorcycle ride and add it to the Ducati playlist already on the musical platform. 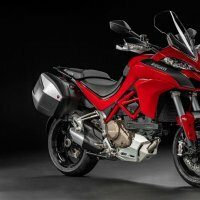 Participants are then asked to describe their dream motorcycle vacation, share the song they have chosen on Facebook and tag two friends they would like to take on their Multistrada Experience if they win. All of the songs nominated in the Ride a Song contest will become part of the Spotify Ducati playlist, which can be found at play.spotify.com/user/ducati_motor/; a fun and innovative way to listen to Ducati riders’ favourite music. Full details regarding Ride a Song contest participation can be found at rideasong.ducati.com. 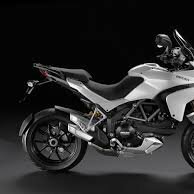 WASHINGTON, D.C. - April 6, 2015 - (Motor Sports Newswire) - RECALL Subject: Cable may Prevent the Throttle from Closing Report Receipt Date: MAR 16, 2015 NHTSA Campaign Number: 15V152000 Component(s): VEHICLE SPEED CONTROL Potential Number of Units Affected: 5,962 All Products Associated with this Recall Vehicle Make	DUCATI Model	MULTISTRADA 1200 Model Year(s)	2010 - 2014 Manufacturer: Ducati North America SUMMARY: Ducati North America (Ducati) is recalling certain model year 2010-2014 Multistrada 1200 motorcycles. The inner sleeve of the opening throttle cable may move and prevent the full closing of the throttle. CONSEQUENCE: If the throttle cannot be fully closed, there is an increased risk of a crash. 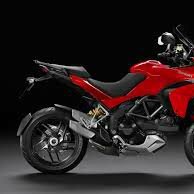 REMEDY: Ducati will notify owners, and dealers will replace the upper throttle cover with one that prevents the inner throttle sleeve from moving, free of charge. The recall is expected to begin May 11, 2015. 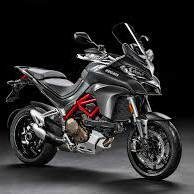 Owners may contact Ducati customer service at 1-800-231-6696. 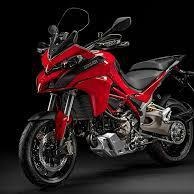 Ducati's number for this recall is RCL-15-001. NOTES: Owners may also contact the National Highway Traffic Safety Administration Vehicle Safety Hotline at 1-888-327-4236 (TTY 1-800-424-9153), or go to www.safercar.gov.